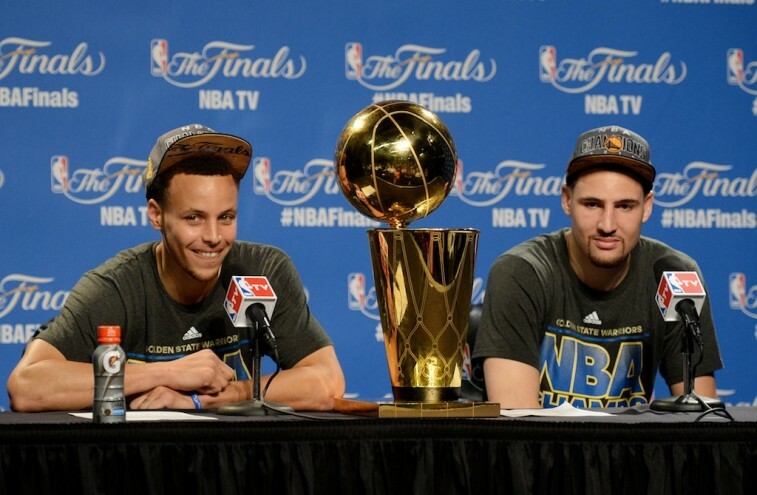 Stephen Curry (above, left) and Klay Thompson are, by nickname, brothers. Beyond each other though, both have familial ties to the NBA. Steph is the son of famous sharpshooter Dell Curry. If you’ve ever watched the elder Curry shoot the rock, it’s clear where the Baby-Faced Assassin inherited his smooth stroke. Klay, on the other hand, is the kid of Mychal Thompson; a 12-year pro — and No. 1 overall pick — with two NBA titles on his resume. If you’re wondering who taught the kid to win championships, you need look no further than his old man. That’s just the way things go in professional sports — it’s all about keeping it in the family. The highest levels of sports are littered with successful lineages — Fathers leaving big shoes to fill; sons attempting to make their own mark on the game; siblings competing against siblings. And more often than not, generations that choose to follow in the footsteps of their family members tend to play the same sport. However, that’s not always the case. Klay Thompson emulate his father by pursuing a career in the NBA, but younger brother, Trayce, opted to take his athletic ability and pursue a career on the baseball diamond. We were reminded of this fact when we read the Chicago White Sox had called up the 24-year-old prospect. And in that moment, we started to think about other athletes who chose to pursue careers in different sports. After much research, we came across some interesting family dynamic. Of course, we had to share this information. With that, here’s a look at the five most versatile families in sports. 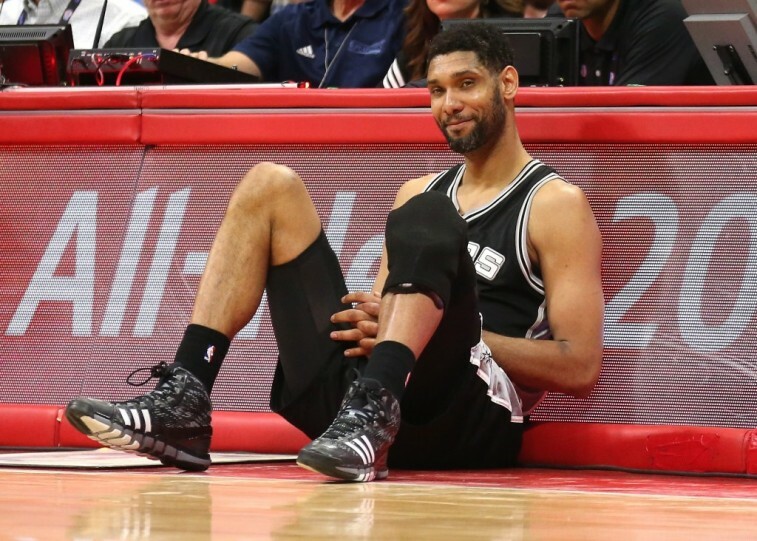 Tim Duncan has every reason to smile. He’s a five-time NBA champion, a 15-time All-Star, a two-time NBA Most Valuable Player, and arguably the greatest power forward to ever play the game. He’s a sure-fire Hall of Famer, who seems completely unfazed by Father Time, as he prepares to return for his 19th season in the league. But what’s even more fascinating about The Big Fundamental, is that basketball wasn’t even his first love. That belonged to swimming. Had it not been for the destruction of the Virgin Island’s only Olympic-sized swimming pool by Hurricane Hugo in 1989, Timmy may very well have never left the water. Fortunately for the Duncan clan, his older sister — Tricia Duncan — didn’t have the same fear of sharks as her younger brother. She would go on to compete in both the women’s 100- and 200-meter backstroke at the 1988 Summer Olympics in Seoul. 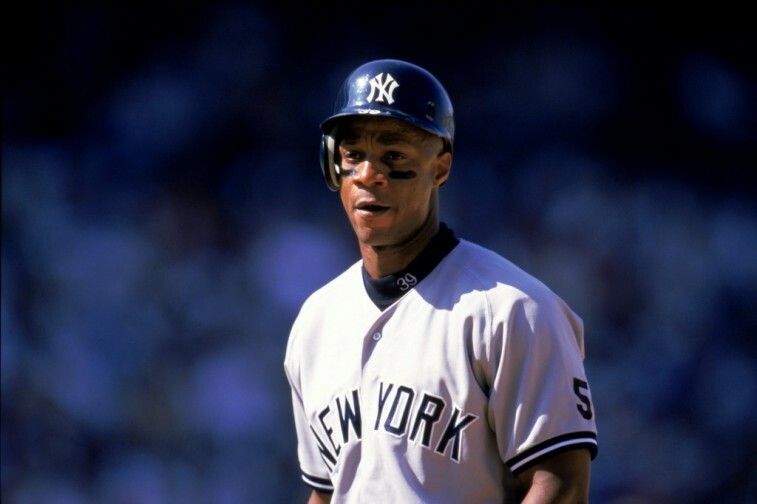 While Darryl Strawberry played 17 seasons in the Major Leagues, he never quite lived up to his crazy potential. Granted he was a superstar in the 1980s, but his battles with substance abuse prevented him from reaching all-time great status. Still, he did manage to win the NL Rookie of the Year award in 1983 and make eight All-Star teams. With his genetically-blessed physical attributes, it should come as no surprise other members of the Strawberry family would have a similar opportunity to play in the professional ranks. However, in this particular instance, his son D.J. Strawberry opted to take his talents to the hardwood. The younger Strawberry spent his college years playing ball for the University of Maryland. In his four seasons, the 6-foot-5 guard averaged 10.1 points, 3.3 rebounds, and 2.9 assists per game. He would end up being taken by the Phoenix Suns with the No. 59 overall pick in the 2007 NBA Draft. After just one season in the National Basketball Association, D.J. made his way abroad. He has been playing in Europe ever since. 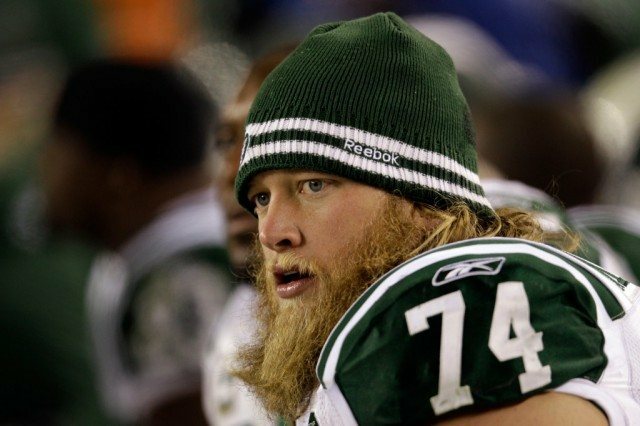 As a six-time Pro Bowler and two-time First-Team All-Pro, New York Jets center Nick Mangold have proven time and time again that he is more than just a man with an immaculate beard. He is an invaluable member of the Jets organization and one of the top players at his position in the entire National Football League. Yet, even with all his accomplishments, we can’t forget he’s not the only member of the Mangold household with athletic chops. Holley Mangold is more than just Nick’s younger sister. She’s an Olympic weightlifter with enough credibility to stand on her own as a top-notch athletic force. She’s strong, insanely competitive, and not afraid to show off her sense of humor. Simply put, the Mangold family rules. You may be familiar with Hall of Fame shortstop Barry Larkin (above right). He’s the Cincinnati Reds legend who won three Gold Gloves, nine Silver Sluggers, made 12 All-Star Games, and was named the 1995 NL MVP. What you may not know, is he’s also the proud father of NBA guard Shane Larkin (above left). It’s fair to say the father is easily more recognizable than the son. However, that shouldn’t take anything away from the the kid. Shane was a star at the University of Miami and was selected by the Atlanta Hawks with the 18th overall pick in the 2013 NBA Draft. After bouncing around a few different organizations since turning pro, the 22-year-old signed a two-year deal with the Brooklyn Nets this offseason. Whatever happens from here, there’s no one who can say the Larkins can’t ball. In Joakim Noah, the Chicago Bulls have a confident center with an endless motor, a contagious intensity, and undeniable defensive prowess. Since coming into the NBA in 2007, Noah played in two All-Star Games, been a part of three NBA All-Defensive teams, and was a First-Team All-NBA player in 2013-14. He may not have the prettiest shot in the world — in fact, it may very well be one of the ugliest — but he makes up for it in hustle, drive, and sheer athletic will. All traits that he clearly inherited from his father, Yannick Noah. Sometimes referred to as “Joakim’s dad,” Yannick is a rockstar in his own right — literally. However, aside from being a multimillion-selling artist, Noah was a word-class tennis player who captured the French Open in 1983. He also captained the 1991 French team that won the country’s first Davis Cup in 51 years; a task he would repeat in 1996. With a rockstar, tennis champion, and NBA All-Star as part of the family tree, there’s no stopping the Noahs.